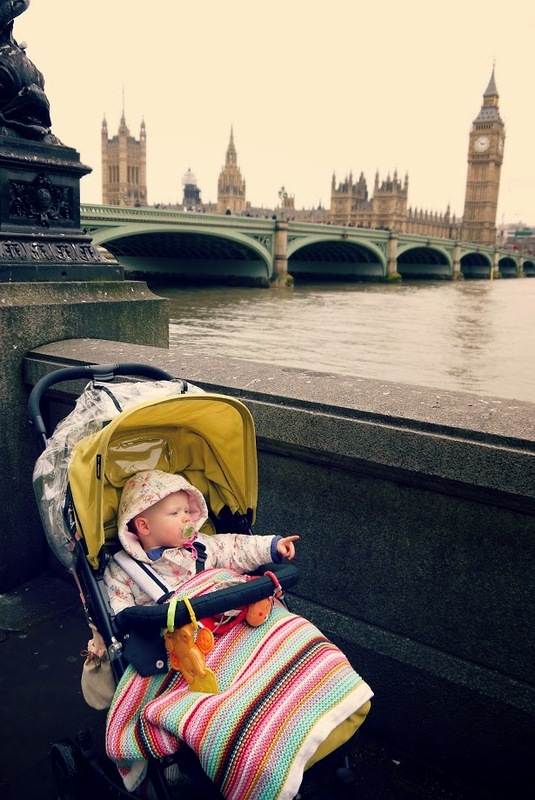 Top Tips for Choosing a Stroller! Alice's stroller is from Mamas and Papas! When we chose our stroller for Alice, we were looking for something that would fit in with our lifestyle. We often travel into London on the tube so needed something lightweight, fairly small with lots of room for storing essentials. It needed to be sturdy and of course, stylish too! The stroller we have for Alice at the moment is too big for Thomas. We need something to suit his needs as well as Alice's now! We think we are going to buy a buggy board for Alice as she is now approaching 3 (yikes!) and she's not a massive fan of sitting down and being pushed about anymore. 1. Consider your lifestyle. Do you often drive to places, or get the tube? Will you be using it everyday, or every so often? Will you use it for muddy walks through the park, or to go shopping? There's no point buying a huge pram with carrycot if you need it to fold up small for the boot of the car or squeeze onto a crowded tube! 2. Will it last? I'm not saying you need to spend a fortune on a stroller, but you do get what you pay for! If you are hoping your stroller will last a good few years, then it's best to invest in a really good, solid looking product that wont fall apart easily. There's nothing worse than a wheel falling off when you're halfway to the shops (been there!). 3. Flexibility. There are lots of strollers which allow you to clip in the car seat so you don't need to disturb baby. Look for strollers with flexibility, the ability to adapt to your changing needs. A lot of strollers allow you to change the direction in which baby is facing, or allow you to change the carrycot to a toddler seat! 4. Style. Your stroller is a big investment and you will use it most of the time, so make sure you like it! Pick a design that's fun, timeless and stylish, such as the Babyzen stroller. The Babyzen stroller is packed with innovation: spectacular folding, best-in-class comfort, amazing smooth ride and sleek design, making it perfect for city parents and fantastic for travellers! 5. Storage. Babies require a lot of stuff! So make sure that your stroller can carry it all, as well as a bag of shopping or two! Investing in a cup holder or clip on shopping bag is also a good idea as it's always best to have your hands free in case baby needs a cuddle mid-trip!